is the formost Czech guitarist and composer. He started his career as a professional musician and leader in 1969. Gradually, he was able to collaborate with some of the best artists in the Czech jazz and rock scene, including Jiri Stivin, Emil Viklicky, Rudolf Dasek, Milan Svoboda, Vladimir Misik, Michal Prokop, among others. The year 1973 saw the formation of Energit, a fusion band. This was followed in the 80\'s by the Lubos Andrst Blues Band, a band that accompanied English singer Paul Jones and American blues singer Katy Webster. More recently, Lubos Andrst met with German guitarist Toto Blanke, French flutist Michel Montanaro or Japanese harmonica player Nobuo Yagi, with whom he has established a successful musical relationship. During the years he was performed at Prague Jazz Festival, Pori Jazz and Jazz Festival Istanbul in 1972, Jazz Festival Budapest in 1983, Havana Jazz in Placa in 1986, AghaRTA Prague Jazz Festival in 1992 and 1994. Andrst is currently working on solo acoustic projects and leading his quartet, the L. A. Blues Band (with American bluesman Ramblin Rex) and jazz formation Acoustic Set. is a Slovak jazz pianist and composer based in Prague. Benko’s first main exposure came with an interpretation of jazz standards and Latin American music with the Jan Prib’s band called „No Borders“. When its founder left, Matej Benko over took a band leadership releasing an album „Universality (Arta, 2006)“ under his own name. Before, he recorded an album Keporkak (Arta, 2004) together with double-bassist Vit Švec and drummer Jan Linhart. For this album Matej Benko wrote most of the compositions. This collaboration ended up with successful string of concerts in Japan. The year 2007 came with the name of changes. More and more, he has been presenting his compositions. He also formed new jazz trio together with Tomáš Liška and Pavel Zbořil and later on he enlarged it to the Quintet (with Miroslav Hloucal on trumpet and Radek Zapadlo on saxophone). New CD „Time Against Us“ was released in the autumn 2008 also by ARTA. Beside that Benko performs with exquisite Slovak singer Miriam Bayle, writing arranges for her as well. He is a member of the Jaroslav Šimíček Quartet. Benko also teaches jazz interpretation at the Prague Conservatory of Jaroslav Ježek. is a jazz pianist and composer, and comes from Hradec Králové, the Czech Republic. His interest in music started in his early childhood. He studied classical piano at the Conservatory in Pardubice and then composition at the Jaroslav Ježek Conservatory in the class led by jazz pianist and composer Karel Růžička. He also attended lessons of arranging led by pianist and bandleader Milan Svoboda and jazz interpretation by pianist Matej Benko. His primary musical activity (both as a pianist and a composer) presents his own band Martin Brunner Trio. The trio has already performed at many concerts and festivals and its debut CD “Behind the Clouds” was very successful on the Japanese music market. The song "Behind The Clouds" was awarded as "The Best Jazz Composition Of The Year" in Bohemia Jazz Fest and OSA competition and was performed at the main Bohemia Jazz Fest concert in 2010. The band regularly performs at well-known jazz clubs in Prague. Martin Brunner also composes music of other styles and genres (e.g. for big band or string quartet) and teaches obligatory jazz piano at the Jaroslav Ježek Conservatory. Trumpet player, composer and band leader was born in Bratislava (Slovakia) in 1938. In 1960\'s he was a member of Karel Velebny\'s SHQ. In 1970 he recorded his solo album "Sentimental Trumpet" with strings. As soloist he took part on the famous big band recording "Jazz Goes To Beat" by Vaclav Zahradnik. In the end of 1967 he founded his own Jazz Cellula ensemble and since the beginning of 1970 he was a member of the Czech Radio Jazz Orchestra (JOCR). He also made some duo recordings with the guitarist Sarka Dvorak and composed a lot of music for film and TV productions. Since 1985 he lives in United States where he is a leader of the "Jazz Cellula International". Slovak pianist and bass guiter player "Gabo" Jonas was born in 1948. As a prodigy he won at the different musical competitions. In the early 1970\'s he lived in NYC where he performed in jazz clubs. One of the recordings by Charlie Barnett swing big band bore the title "Overheard In A Cocktail Lounge". It was a time when the man in charge of the vibrations of such lounges was the guests might think of, but occasionally he might treat them to some of his own ideas. And his playing should be fun not only for himself but for his listeners as well. This last rule is something Gabriel Jonas has stuck to all his life. As a jazz pianist he performed in Czechoslovakia with Jiri Stivin, in Poland with Czeslaw Niemen, in New York with Sam Jones or Joe Newman. He has to his credit recordings under his own name as well as with other prominent Czech and Slovak jazzmen. Prague born saxophone player started to study clarinet in 1972. In 1979 he took up tenor saxophone and theory of jazz improvisation at the Prague Jazz Conservatory under tuition of distinguished jazz vibe player and teacher Karel Velebný. One year later he started playing with professional jazz groups and big bands. From 1981 František Kop spent two years of service in the Army Arts Ensemble; joined up with several other young jazz musicians to form Naima - 3 times the winner of Best European Jazz Group Award. 1983 teamed up with Emil Viklický Quartet - a prominent jazz group in the Czech Republic. 1985-8 touring Europe with Naima and Emil Viklický Quartet; worked as a studio musician playing various styles of music. He also taught jazz improvisation and interpretation at the Prague Jazz Conservatory (1993-5). Since 1999 he is working with his own quartet, recorded numerous studio sessions (with EBU Big Band in Canada, with F. Wesley) and released CD "Twinkle" (Arta, 2000) with František Kop Quartet. Born in Prague (1960) but living in New York - Linka is Sweden citizen. He studied classical guitar at Prague\'s conservatory, composition in Stockholm, then professional music at Berklee College of Music and finally he graduated private studies with John Abercrombie and Jim Hall. Rudy Linka performed with John Abercrombie, Red Mitchell, Bob Mintzer, Gil Goldstein among others. He took part at international jazz festivals in Europe - Pori Jazz, AghaRTA Prague Jazz Festival and Stockholm Jazz Festival and in the U.S. He often plays with his own jazz group at varies jazz club, such as Visiones, Blues Alley, Scullers, Birdland, Five Spot and Blue Note in New York and in Prague\'s AghaRTA jazz club. Born in Pisek, Czechoslovakia (1944), he studied violin and alto saxophone as a youth, but concentrated on double bass at the Prague Conservatory. He recorded with Karel Velebny and played at a club in Munich for a year. At the time of the Soviet invasion of Czechoslovakia (1968) he emigrated to the USA, and he became an American citizen in 1973. On his arrival in the USA he entered the Berklee College of Music, where he studied composition and arranging. He toured and recorded with Oscar Peterson (1970 - 72) before moving to New York and becoming a member of the Thad Jones - Mel Lewis Orchestra (till 1976). Afterwards he also performed and recorded with Stan Getz, Pepper Adams, Roland Hanna, Zoot Sims, Tommy Flanagan, the New York Jazz Quartet, John Abercrombie. His first (as leader) recording "Catching Up" was released by ARTA in 1992. During his time with Jones and Lewis, Mraz established himself as one of the finest double bass players in jazz; a sensitive accompanist and improviser. He is principally a bop musician, praised for his penetrating but smooth timbre, precise intonation, and impeccable sense of rhythm. was a Czech jazz singer (12 July 1926, Ružomberok – 16 June 2006, Prague). Since the second half of 1940s she gradually built up her leading role on the Czech jazz scene. Průchová is the mother of renowned Czech-American pianist and composer Jan Hammer. She began to sing in 1940s was a singer star at the Prague\'s Pygmalion where she appeared with the ensemble Rytmus 47 and later she sung with the Karel Krautgartner Orchestra at the cafe Alfa. Her repertoir was composed of the world evergreens, like Lady Be Good, Summertime, The Man I Love, Four Brothers etc. and of the Czech songs, e.g. Blues pro maleho chlapce, Docela vsedni obycejny den or Az nam bude dvakrat tolik (duet with Karel Gott). Pruchova belongs to the pioneers of jazz music at the Czech Republic. She was the first artist in Czechoslovakia of that time who through the jazz singing from traditionals via swing melodies to the be-bop creations. began his active career as a musician in Brno, Moravia, in 1991. He acquired professional experience in the bands of Mojmir Bartek, Jaromir Hnilicka and Gunter Koci - the soloists of the Gustav Brom Big Band. In 1992 he started his own first group, the Roman Pokorny Quartet, and the next year became a member of TUTU, a group from Ostrava. The same year he was nominated for the first time in the Jazzovy Kaja poll - Discovery of the Year. In 1995 he recorded the first album of his own compositions: Magic Holidays and the CD Sundance with the group TUTU. The following year he was on the recording UV Drive by pianist Emil Viklicky and Boris Urbanek. The year after that, his quartet broke up and he founded the Roman Pokorny Trio with bassist Petr Dvorsky and drummer Jiri Slavicek. This was when his long-term collaboration began with the singer Yvonne Sanchez. He recorded his next solo album, Jazz Perception, in 1998. For this recording, the trio was joined by Gabriel Jonas on the Hammond organ and a brass section comprised of leading jazz soloists, including saxophonist Stepan Markovic, trombonist Svatopluk Kosvanec and trumpeter Juraj Bartos. The recording was called Jazz Album of the Year, 1998. That same year Pokorny recorded an album with bassist Vincenc Kumr and singer Lada Kerndl, Tribute to Duke Ellington. As a guest performer with Veleband, Pokorny has performed several times in the USA and at a jazz festival in Beirut, Lebanon. The next album, this time as a trio, is called Blue Point (1999). In 2000 Pokorny started the group Analogic, whose music is a fusion of rock, soul and funk from the 1960s and \'70s. The next year, at Pokorny\'s instigation, a new group emerged, called Blue Box Heroes, whose music has crystallized into a distinctive fusion of blues, hard rock and jazz. With singer Lada Kerndl, Pokorny recorded an album of original compositions, called I Suddenly Realised. In 2002 Pokorny\'s long-term dream came true, to record an album with a classic organ trio, together with Alberto Marsico and Pavel "Bady" Zboril. born in 1940 (Prague), rank not only among the leading pianist of the Czech jazz scene but he is by far its most versatile composer personality as well. Though he was studying percussion instruments at the State Conservatory, he concentrated after graduating exclusively on keybards - at first as a pianist of the Semafor Theatre Orchestra, then in Prague Radio Big Band, with Laco Deczi\'s Jazz Cellula septet, at thehead of several own combos, in the Czech analogue of Keyboard Conclave, as a soloist, composer, arranger and even conductor on many other renowned big bands (including the Czech-Polish one and the Veleband All-Stars) outfits and in duet the guitarist Rudolf Dasek. His creative activity comprises a really wide scale. We can find there not only big band compositions and scores of chamber pieces of non-typical instrumentation with pure jazz elements but also movie soundtracks, his "Celebration Jazz Mass" for soprano voice, chorus and orchestra, contemporary music and piano solo works. However the most essential part of his scoring are Ruzicka\'s solo projects which were inspired by his winning the International Competitions of Jazz Themes organized by the Academy of Music in Monaco (Interlude - 1977, Echoes - 1978, Triste - 1979). Since that time he has been taking part at the competition just as a member of the international jury, teaching there also on many orchestration clinics. Ruzicka, who has been playing with a lot of international stars (Finnish trumpet player Jarmo Sermila, French pianist Martial Solal, Uruguay saxophonist Wilson de Oliveira or his Polish colleague Tomasz Szukalski), toured almost all European countries, recorded at least 10 albums under his own name, and nowadays devotes himself to a systematic pedagogical activity. Saxophone player / composer was born in Prague (1973), Czechoslovakia. From early age he was exposed to music of all kinds and since his father is a jazz pianist / composer, among his first influences was the music of Charlie Parker, John Coltrane, Miles Davis, Bill Evans and many others. When he was about ten he studied trumpet. Eventually he switched to trombone, which he studied on Prague Conservatory. At the same time he picked up alto saxophone his uncle gave him. He instantly fell in love with that instrument. Eventually he decided to quit trombone studies and just practice on tenor and write his music. He studied saxophone on Jaroslav Jezek Conservatory and won a scholarship to Berklee College of Music in Boston. Since he was sixteen years old he co-led "The Four" with pianist Stanislav Macha, which won several prizes on jazz festivals in country. In 1992 he received the "New artist of the year" award by Czech Jazz Society. He worked with fusion group Hot Line. He appears on several Arta releases including his debut record as a leader "You know what I mean" (ARTA 1997), which was jazz album of 1997 and was nominated for Czech Grammy. Beside this he workes with various groups other than jazz. Until he moved to New York in 1997 he worked with critically acclaimed Czech funk & rap group J.A.R. He\'s frequently touring Italy with pianist Antonio Ciacca. In 1996 he joined Roy Hargrove for a Teachers Jazz Festival concert in Prague organized by AghaRTA Jazz Centrum. This contributed to Karel\'s decision to move to New York. Now he has found hisown group, which is performing in New York\'s jazz venues, such as Savoy Lounge, Cornelia Street Cafe, Cleopatra\'s Needle. He regurarly works with pianist Charles Blenzig at the Blue Note. Also, he is playing in various bigbands in town,which as he says is "one of the most uplifting experiences is to be a part of the unity, where section by section everybody is closely listening to each other and together recreating composer\'s intentions and still is able to enhance the whole thing with one\'s spirit." playing flutes, saxophones, and various instruments of his own construction, composer and author of many original musical projects, has appeared on platforms since the sixties. Originally graduating from FAMU as a cameraman, he soon became devoted to music. Appearing with the Quax, Jazz Q and SHQ of Karel Velebny, he established his own trio in the early seventies as well as the legendary "System Tandem" with Rudolf Dasek. Since then he regularly comes at the top of European questionaires filled in by the foremost jazz critics. He has spread, too, into the serious music scene, with his "Collegium Quodlibet" performing medieval, Renaissance and Baroque music. Stivin composes for the theatre, television and film, makes recordings and appears on concert platforms throughout Europe and in the United States. He has performed with Barre Phillips, Zbygniev Seifert, Tony Scott, Pierre Favre, as well as with the Virtuosi di Praga, the Slovak Chamber Orchestra, the Prague Chamber Orchestra and Pro arte antiqua Praha. His recent ensemble "Jiri Stivin & Co. Jazz Quartet" features his son Jiri Stivin Jr. as drummer. is the double bass player, composer and arranger. During his studies at Pedagogical Fakulty in Ostrava he had started a band called „Jazz Laboratory“ with Boris Urbánek. Later on he had teamed up with Richard Kroczko and his band Mikro. In 1988 Jaroslav Šimíček moved to Prague and set to play with Michal Prokop’s band Framus. He also was a bass player for Binder-Konrád Blues band. In 1995 he founded Havelka Sisters Orchestra, where he is still a bandmaster, double bassist and arranger. The main effort of this orchestra is an actual interpretation of the early swing era. He has recorded five CDs with this band. At the same time Jaroslav Šimíček has been cooperating with many jazz trios and quartets, namely Vojtěch Eckert Trio, Renu Gidoomal trio, Petr Kroutil Quartet, Petra Ernyei Quartet and Shadde Yadda Quartet. He also have his own band called „Jaroslav Šimíček Quartet“ with exquisite players as Matej Benko, Radek Zapadlo and Tomáš Hobzek. Jaroslav Šimíček has recorded four albums of his own compositions. is a guitarist and composer with a multi-genre and intense expression. In his interpretations and improvisations he focuses mainly on his original musical ideas with all respect to traditions and vocabulary of the musical style. Adam plays guitar since age of six and later learns to play bass guitar and drums. Since childhood he’s influenced by blues and classic rock, especially by Jimi Hendrix, Jimmy Page, and Eric Clapton. Later he discovered the music of Miles Davis and starts to fully focus on Jazz. The first main influences were guitar players Pat Metheny, George Benson, and John Scofield. Adam’s original music could be labeled as contemporary or modern Jazz with elements of his most influential genres e.g. Blues, Classic Rock, Modern and classical jazz, Latin music, Classical music. jazz bassist, composer & bandleader was born in Ustí nad Orlicí in the Czech Republic. From 1965 has studied double bass, piano and composition at the State conservatory in Brno. During his studies has played at the orchestra of Janacek‘s Operahouse and at the Brno Philharmonic Orchestra. He graduated with concert for the double-bass and chamber orchestra by J. K. Vanhal (1739-1813). He played and collaborated with the best Czech jazz musicians (Karel Velebny SHQ, Emil Viklicky Q, Linha Singers, Impuls, Laco Deczi Cellula International, Jiri Stivin Q, Baroque Jazz Q, Karel Ruzicka, Rudolf Dasek). During his career he has been collaborating with many international groups and musicians: D.Weckl, B.Bailey, W.Shaw, J.Newman, P.Wilson, Sal Nistico, T.Curson, S.Hamilton, S.Costanzo, S.Robinson, B.Moses, B.Golbin, E.and J.Keizer, L.A.Davison, J.Serry, M.Printup from U.S.A.; S.Houben, P.Catherine, J.Piroton from Belgium; B.Dennerlein, D.Goykovich, W.Lackerschmid, W.Haffner, C.Stötter, D.Terzic, A.Hertrich, H.Beckmann, East-West Connection from Germany; I.Reiger, M.Breinschmid from Austria, G.Cazzola, R.Magris, G.Centis, Europlane Orchestra from Italy; J.Nicholas, D.Wickins, T.Smith, E.Severn, T.Bancroft,B.Wellins from Great Britain;G.Atzmon, S.Goldenberg from Izrael; D.Moccia, R.Morgentaler, S.Schlegel, O.Giovannoni, F.Ambrosetti from Switzerland, M.Hausser from France , Czech-Norwegian Band, P.Mikkelborg, A.Riel from Denmark; D.Jurkovic from Croatia. Izrael (Jazzfestival Eilat, Jazzfestival Tel Aviv), Turkey, Canada (Jazzfestival Montreal), Great Britain (Jazzfestival Edinburg, Jazzfestival Cheltenham, London Jazzfestival), Cyprus, Vietnam, Japan. He has recorded many albums as a sideman and two on his name (Basssaga, Frantisek Uhlir Team feat.C.Stötter) and three with his trio Jurkovic +Uhlir + Helesic( Live 2002, Frantisek Uhlir Trio feat.D.Goykovich, Maybe Later). Radio and TV shows inland and abroad. Frantisek Uhlir is leader of his own group “Frantisek Uhlir Team” (F.U.T.) since 1987. Composer, arranger, pianist, keyboard player and bandleader Boris Urbanek is the representant of the new generation of musicians, which is not refering to any strict musical style. On the contrary, his music links jazz elements, funk, soul, ethnic feelings, pop and classical music. His graduation of Conservatory gave him inspiration for fusions very conspicuous and cultivated. Urbanek created and led his first band "Jazz Laboratory" during his studies. Meeting with Miles Davis in Finland Pori Jazz Fest 1987 motivated him turn that mainstream jazz band to more modern orientated quintet TUTU. The ensemble became the best jazz fusion band in Czech Republic soon performing also on many jazz festivals in Europe. Urbanek`s universality is much sought after studio recordings and soloist player. He also realized his own music for movies, theatre, TV and radio spots besides tunes for his band Tutu. The outcome of all those experiences is concentrated in his own film music production "Paradise Music". Boris Urbanek also performs with Martin Kratochvil`s Jazz IQ (1984 - 86), Blues Band of Lubos Andrst (1986 - 87), Jazz and Blues of Peter Lipa (1987 - 90), and he was member of Jazz Orchestra Radio Ostrava (1989 - 95). Pianist and composer Emil Viklicky (1948) was born in Olomouc, Moravia. He graduated university (mathematics) there and moved to Prague where he started to play with Karel Velebny, the ãfatherÒ of Czech modern jazz. In 1977-78 he studied composition and arranging at Berklee College of Music with Herb Pomeroy and privately he studied composition with Jarmo Sermila, George Crumb and Vaclav Kucera. Viklicky is the winner of the Jazz Improvisation Contest in Lyon - France (1976) and in the same year he won the Monaco Competition for Jazz Composers with the "Green Satin". In 1985 he received there the 2nd prize with "Cacharel". He was also awarded the FITES prize for animated films music in 1991 and the Annual prize of Czech Music Council in 1996 among others. On the jazz stage he continued with his own groups CSQ (1979-85), the Emil Viklicky Quartet (since 1985) and he performs solo recitals too. He was invited by many festivals around the world (North Sea in Holland 1990, Chicago 1991, Eilat in Israel 1992, Japan 1994, Mexico 1996). He recorded e.g. with James Williams, Benny Bailey, Bill Frisell and Talich String Quartet. Its name came into being because whenever in the last minute someone was unable to perform at the AghaRTA jazz club, in Prague, I had to look for substitute musicians and always ended up giving the pick-up group this name. Similarly, sometime in 2007, neither Michal Žáček nor any of the bassists of the Rhythm Desperados were able to make it to a concert, so we invited Štěpán Markovič and Vítek Švec to stand in. Thus was born the group that has been playing regularly to this day, comprising musicians who have individually found a musical road over the years in common with others. Vítek and I last worked together in the Transjazz big band, in 1984–86. I began with Štěpán in ESP in 1982. One of the first compositions we played was Herbie Hancock’s ‘Dolphin Dance’. On the road with ESP I came to know Boris Urbánek, a pianist from the town of Ostrava. He invited me to record his compositions with the his band Jazz Laboratoř in 1983. We recorded the compositions ‘Ježek v kleci’ (Hedgehog in a Cage) and ‘Na zlatou neděli’ (On Golden Sunday ), which, reborn on the current album, appear together with other popular numbers by Štěpán – ‘Inner Urge’, ‘Time Remembered’, ‘Deception’, ‘Eiderdown’, and a distinctive version of ‘Voyage’. is one of the few Czech bands engaged in fusion music on programme basis. The band was founded in 1984 as a studio group by Jan Hala. Having made several successful radio recordings, the band decided to perform regularly as well. During the time of its existence, Hot Line went through several alterations before the set became stable in its status quo. Jan Hala is the band leader and composes most of the music. The main organizational and playing spirit of the band is drummer Michal Hejna. 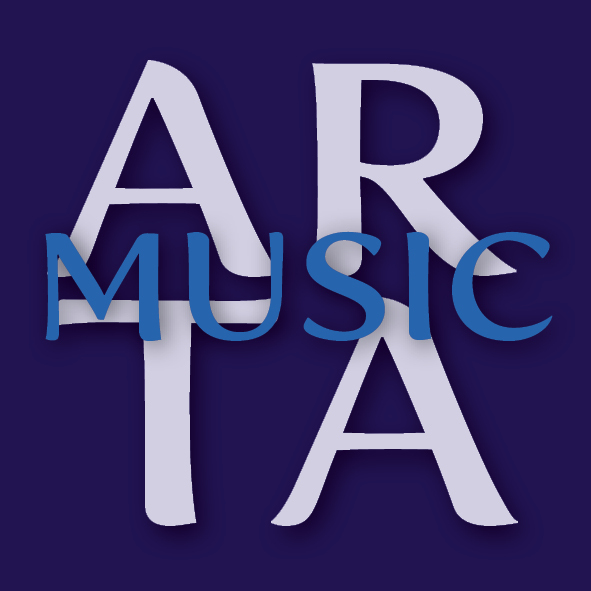 Both, Hala and Hejna are also co-owners and jazz producers of ARTA label. The band, the founder of which is the pianist and composer Jan Hála, first showed up on the Czech Jazz Scene in 2001. The group had been introduced as a jazz antipode of Hála’s fusion formation Hot Line and this also influenced the acoustic setup - originally with two wind instruments. Outstanding Prague jazz musicians gathered in Limited Edition: Hála brought in a splendid saxophonist Rostislav Fraš and a drummer Pavel Razím from Hot Line, bass player Vít Švec and Přemysl Tomšíček on trombone are two other jazz celebrities. The junior support, a trumpeter Miroslav Hloucal, extremely talented representative of the forthcoming Czech jazz generation, joined the team in 2005. Hloucal was replaced by Michal Gera in November 2008. The repertoire of Limited Edition focuses mainly on modern jazz with the significant elements of Latin music. Besides Jan Hála’s original compositions the band sticks to the pieces of Don Grolnick, Horace Silver, Milton Nascimento, Ivan Lins, John Coltrane, among other world-class jazz composers. is Czech band playing mostly acid and pop jazz music but its also influenced by other music genres which appears in its specific final sound. Madfinger consists of six young and talented musicians. In 2004 Madfinger performed together with world-famous British band Incognito in Prague. In the same year Madfinger won The Young Jazz Musician´s competition of The Philips Jazz Festival. In 2005 released its debut record Easy. In 2008 released its second record Secret message. Madfinger is considered one of the best young jazz bands in Czech republic. Madfinger performs mainly in Prague´s clubs and other European towns and festivals. Nowadays we are preparing tracks for our third CD with obviously talented singer Martin Svátek alias Joytearz. The group was founded in 1985. In the beginning Naima was oriented on the acoustic jazz influences by classical music. Original compositions of the group from this period were recorded on the recordings Jazz Magma and Naima I. In 1986 Naima won the 1st prize at the Karlovy Vary (Carlsbad) Jazz Festival and took part in the Leverkusen Jazz Festival, Germany. In the following period several personal changes were made however Naima in the new set-up continued playing in the jazz clubs, participating in festivals at home and abroad and recording in the Czech Radio and TV. In 1987, 1988 and 1989 Naima was awarded the professional critics prize "The Golden Note" as the best jazz group of these years in Czechoslovakia of that time. In autumn 1990 the group recorded their first CD: Session\' 90 - Live. Naima was formed by two founding members Zdenek Zdenek (keybords) and Frantisek Kop (saxophones and bassclarinet), who were joined by Peter Binder (guitar).The trio dgave concerts in Spain (four one-month tours), took part in Palma de Mallorca Jazz Festival (1989), Delta Jazz Festival Haag (1990), AghaRTA Prague Jazz Festival (1993), among others. Compositions by Zdenek Zdenek represent most of the repertoire of the group and can be characterized as modern electro-acoustic jazz. Both critics and jazz fans agree that Naima belongs to the peak of Czech jazz. The prehistory of the band springs from long-lasting friendships as well as occasional co-operations during the studies of a part of the crew at Prague\'s conservatories. The main impetus to the inception of the Night Optician\'s as a quartet (p, fl, bass/cello, dr) was the finding that a lot remained unsounded and open after the common performance of Jakub Dvořáček\'s compositions at his school-leaving-concert in 2001. The arrival of the guitar player and second composer Miroslav Nosek in summer 2002 established the personal and musical balance functioning thus far. The common denominator of the Night Optician\'s productions is the desire to explore new ways in jazz and jazz-related music, however not at the cost of obscurity or solipsism, and to retain certain - both ironical and gracious - distance from the typical constituents of jazz and other styles. Aside from the named gentlemen, who had been involved as composers in various one-shot scenic, vocal and orchestral projects (Dvořáček) or jazz bands KadNos or Discomposure Treatment (Nosek) before, the following musicians take part: Štěpán Zbytovský (flute), Jan Keller (bass/cello; i.a. Czech Radio Orchestra, Why Not Patterns) and Jan Linhart (drums; i.a. The Swings, Vít Švec Trio). The Night Optician\'s perform mainly in Prague clubs and concert halls and participated in several festivals in the Czech Republic (e.g. Jazz Goes to Town Hradec Kralove 2002, Alternativa Prague 2003, Otevřeno Jimramov 2007). In spring 2007, the band goes into the studio to record Herbarium, a nosegay of essences from the latest and older repertoire. Endless debates about what to play and how to play, how to escape from the repetitive jazz standards interpretation and the humble worhshiping of unattainable music idols, resulted in the idea to form a larger ensemble, which would stir up the Prague music scene. Its name sounds a bit mysterious: NUO. The explanation is simple, though: Nuselský (a district of Prague), Umělecký (art), Orchestr (orchestra). Jakub Zitko, the leader of NUO is, regarding his music taste, quite a "mugwump": Charles Mingus, Medeski, Martin and Wood, Béla Bartok, Led Zeppelin. Throughout his time he has moved from the piano to the Hammond organ and Fender Rhodes and he likes to explore the samplers and effects to create new sounds. He finds inpiration in the works of Vienna Art Orchestra, Mingus Bigband or John Scofield\'s Quiet album. The music of NUO has been developing into an unpedictable direction thanks to all the personalities in the band, who have focused their creative energy to one mutual goal. The result of the efforts of NUO members is ideal for all open-minded listeners able to perceive the blending of the genres without a benignant smile or arrogant mockery. Musicians from NUO have paid their dues, but they want to go further. They might get to these unexplored areas, but that is the path chosen by most of the current jazz visionaries. is a group of leading jazz musicians possessing the high level of music versatility. Their music mingles elements of funk, latin music and jazz. Repertoire is mostly framed by Boris Urbánek’s compositions and completed with famous jazz tunes like „Birdland“, „Sunny“, „Cantaloupe Island“, „Chamaleon“ etc. The main intention of the group is not only to entertain itself but the audience above all. Their concerts are always very hard-hitting and jazz club-goers as well as private party-goers leave always fairly pleased. Trio in the classical engagement (keyboard, double-bass, drums) was formed in the year 2000 in Prague with the participation of pianist Mark Aanderud from Mexico. This collaboration reached its height with the CD recording "Trio \'02 - Mark Aanderud, Vit Svec, Pavel Razim". Czech musical magazine Harmonie determined this album to be "The best Czech jazz recording of 2002". The same year Mark Aanderud is being replaced by a young Slovak pianist Matej Benko. In September 2003 Jan Linhart was over taking drums. The trio performs regularly in Prague\'s many jazz clubs as well as throughout Czech Republic (Karlovy Vary, Cheb, Cesky Krumlov, Slany, Prerov, Hradec Kralove, Liberec, Pisek, Jesenik, Brno) and also abroad (Presov, Kosice, Zvolen, Visegrad, Berlin, Cottbus, Sibiu, Bucuresti, Chisinau,....). A new recording called "Keporkak" was birth in summer 2004. Vit Svec Trio is focusing on original compositions by Matej Benko and Vit Svec, and on modern interpretations of standards. The compositions by Matej Benko are clearly influenced by classical music as well as latin music. The American/Canadian band THE FENSTERS shows an unusual setup - 2 saxophones, bass and drums, and in their instrumentation we find lie exhaustive possibilities. Alan Jones stamps the entire sound with his dynamic drumming and finds in bassist Paul Imm a congenial partner. Almost rascal-like, the two play rhythmic tricks on each other. In their experimentation they surprised each other and brought the musicians and the audience to laughter. Francois Theberge is an energetic, technical and exceptional player, contrasting with his partner and foil Middleton, whose restraint gives the melodic development of his solos great conviction. Both have perfect control of the entire spectrum of jazz improvisation, from the swing riffs to abstract free excursions. Whoever has the opportunity to experience this group shouldn't miss the chance; "The Fensters open the eyes to unexplored musical possibilities. The jazz-fusion quartet was founded in 1987 by pianist and composer Boris Urbanek. The ensemble has performed on many jazz festivals in Europe (Denmark, Holland, Germany , Poland, Spain, Slovakia) and in the Czech Republic. The repertoire of TUTU is built on original author music which could be featured as an electric fusion. Climax of this "electric period" was recorded on Mr. Jazzman, CD released by ARTA in 1991 which met the great response on side of the audience and favour of the critics. The big band was originally formed 20 years ago as a school session band led by the legendary jazz musician and teacher Karel Velebny. Since 1990 Veleband, as the Czech All Stars Band, associated the most popular jazzmen from different Czech groups like Hot Line, Naima, The Four, Stepan Markovic\'s Jazz Face etc. Veleband has recorded three CDs for ARTA Records till this time. The first one - "Tribute" is dedicated to the late Karel Velebny to celebrate 60 years since his birth and was recorded live. "Hic sunt leones" includes compositions by contemporary Czech jazz composers (Hala, Linka, Ruzicka, Viklicky, Zdenek). Music for the third album was originally recorded by Velebny\'s group SHQ in 1972. At that time it was considered the famous Czech jazz recording of its type, an important milestone for many jazz musicians there who now, after many years, have dedicated the work in its current big band version (arranged by Jan Hala) to that great "jazz teacher".